My wife is unwell at the moment (I’m pretty sure that it’s not because she is allergic to me). We ideally needed to see a doctor fairly quickly and so we went to the surgery and waited. They have just switched to a new walk in system and so we turned up and 50 minutes later we saw a doctor. How should we have felt about the wait? 50 minutes is a really long time to wait, but on the other hand we saw a doctor on the day we needed to. A few months ago we tried to get a appointment at the same surgery and were told we would have to wait 2 weeks. It would have been easy for us to sit and feel grumpy about our wait, but seeing the bigger picture meant that we actually had something to celebrate. After all, waiting for 50 minutes is definitely better than waiting 2 weeks! The NHS isn’t perfect, but personally I thank God for the free and often good quality health care we receive in the UK. After our visit to the GP we needed an X-ray (no, they weren’t checking for my brain! ), and I asked ‘how long is the appointment likely to take to come through?’ The doctor looked at me in a strange way and said that we could go whenever we liked. Just over an hour later the X-ray was done and we were on our way home. My wife and I felt like we had a lot to be thankful for in the care we had received. There are times in life when we all feel disappointed. There is sometimes a sense of feeling like everyone else is doing better than us or that life isn’t fair. Instead of looking at what is good and what we have to be thankful for we focus on what is missing or what we don’t have. Thankfulness leads to happiness and in contrast, focusing only on what we don’t have will make us miserable. You can read more about this fear of missing our and the effect it has on us here. The Bible verse doesn’t say be thankful for all circumstances. Some of us are facing things that we definitely aren’t thankful for but we can be thankful for the good that is happening within our difficulties. 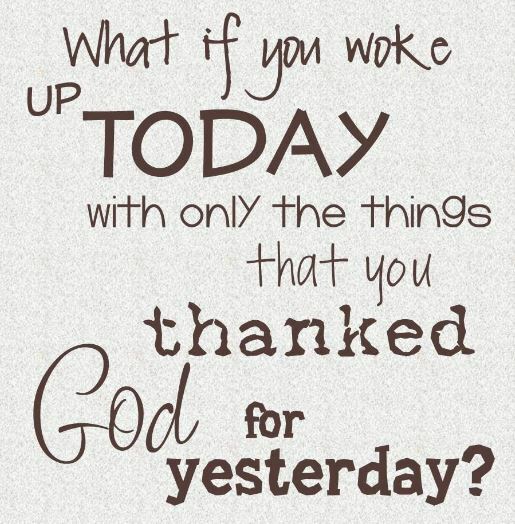 How can we be more thankful today? Try it, an attitude or gratitude will change your life. As well as being generally thankful, we can also think about people who we know who we could thank. When someone thanks us, it means the world and is a real encouragement, so why not take the time to thank someone today? This entry was posted in Blessed to be a blessing, contentment, encouragement, Faith, fomo, Life experiences and tagged 1 Thessalonians 5 18, attitude of gratitude, being thankful, thankful in all circumstances, thankfulness, thanking God for the NHS. Bookmark the permalink.